James Barger (Jamie Barger) of Pensacola, FL. Attorney-at-Law. Formerly of Philadelphia, PA, and Jacksonville, FL, and Gainesville, FL. Former journalist, programmer, and web developer. This is the simplest possible presentation of all the essential information the public demands about me. This is not intended to show off any sort of web design skills. I'm mainly a developer (i.e. server-side code and database stuff) and usability guy anyway. For really beautiful page layouts, you'll have to look elsewhere. Meanwhile, feel free to enjoy the elegant simplicity of this site and my attorney profile site. You might know me as "James Barger" or "Jamie Barger." You might have met me at Temple University Beasley School of Law, or at the University of Florida, or at Nease High School. Or, maybe we worked together at Landstar System, America Online (AOL), the Federal Reserve, TPI, a small newspaper, or the law firm of Aylstock, Witkin, Kreis & Overholtz, or at technology services company Rural Sourcing, Inc. (RSI). Then again, you might have run into me somewhere in my former neighborhood of Chestnut Hill or my current home town of Pensacola, Florida. I live in Pensacola, Florida, where I have three hilarious and delightful kids (9-year-old son, 7-year-old daughter, and 1-year-old baby girl). Before Pensacola, we lived in the Chestnut Hill neighborhood of Philadelphia, Pennsylvania, which we all considered a nearly perfect place to live and were not eager to leave. My family and I moved to Pensacola, Florida, so I could take on the role of attorney/technologist at a law firm that has built a strong reputation as leaders in plaintiffs' mass torts litigation. Even though we miss Chestnut Hill and Philadelphia, we are enjoying the pristine beaches and relaxing environs of the Pensacola Bay area. 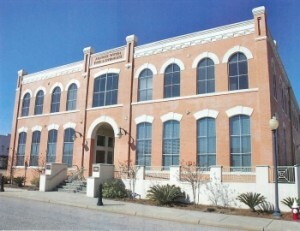 Now I'm doing web application development work as a Senior Programmer Analyst at RSI in Mobile, Alabama. I've created the first and only website to provide the public with complete, easily searchable access to the all FDA "adverse events" data, as collected in the FDA's FAERS repository. Right now, it's pretty rough around the edges. You'll see the raw data and you can get to all of it. But, you'll notice the site displays the exact data field names without any explanation or summary. You still need to visit the FDA website for that, if you want it. Eventually, I'll smooth all that out, providing better search features, some explanations of terminology, and translating some of the data field names into plain language. Until then, you can page through all the data, grouped by quarterly reporting periods, and can click on individual reports to see all the details, exactly as reported to the FDA. You can do very rudimentary searches by drug name and/or by injury, for any quarterly reporting period. You can use partial terms to get the broadest results (e.g. "vioxx" and "myocardial" in the first quarter of 2006). If you have suggestions for improvements, or special requests for statistical analysis you'd like to see, please contact me. And, visit the site once in a while to see how it's coming along. Boring? Sometimes. Frustrating? Frequently. Important? Always. NPR Radio Series - "Shifting Ground"
How cultural values shape risk perceptions. I earned my law degree at the Temple University Beasley School of Law in Philadelphia. 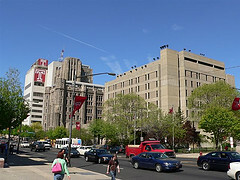 I had merit scholarship offers at a few other law schools, but I chose Temple Law because of its excellent reputation and the location in America's fifth-largest city, Philadelphia. Also, my family's roots run deep in Pennsylvania, so I always liked the idea of living there. We truly loved living in Philadelphia, especially the snow and the changing seasons and strolls through Fairmount Park. I've posted an amusing news article from 1964 on one of my blogs. 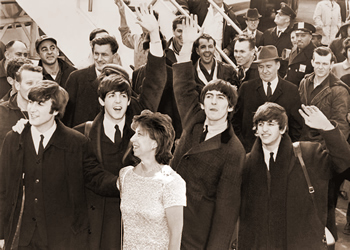 It appears to recount the story of small-town girl Peggy Hironimus (now Peggy Barger), from Centre County, PA, sneaking into some photos with The Beatles at that iconic moment when they first stepped off the plane at JFK Airport on their first trip to the United States, kicking off their portion of the British Invasion. Of course Peggy Barger is my mother, and that story is a little hard to believe. Plus, my mom doesn't look like she's a teenager in that photo. Hmmm... I suspect some tomfoolery here. Admire my Fantasy Football championship trophy shelf. Follow me on facebook, if you are in my list of family and friends. Find me on LinkedIn, if you want to add a connection. Follow me on twitter, if you have time for that kind of thing. Tune into my YouTube Channel, but don't expect too much. See all sorts of arbitrary stuff I've posted on Google Plus. 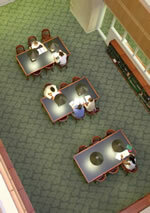 The library at my law school, Temple University's James E. Beasley School of Law, Philadelphia, Pennsylvania. My undergrad alma mater, the University of Florida. Bachelor of Science in Journalism with an Outside Concentration in Visual Arts. My first computer, the TI-99/4A (circa 1981-82). Saved TI-BASIC programs on cassette tapes. Just in case something horrific happens while you're reading this page. to send an e-mail message to James Barger.